Click here to register to receive The IN VIVO Blog email! Despite ambitions to become the “global category leader in oncology,” Astellas Pharma has decided to pull the plug on a promising collaboration in acute myeloid leukemia with privately held Ambit Biosciences, potentially throwing a wrench into the machinery of the latter’s upcoming initial public offering. On March 12, Ambit announced that Astellas has exercised its right to opt out of the partnership, effective Sept. 3, at which time all program rights revert to the biotech. The two firms have been partnered since 2009 to co-develop FMS-like tyrosine kinase-3 (FLT3) inhibitors for cancer, with a focus on lead compound quizartinib (AC220), which showed off promising Phase II data at the American Society of Hematology meeting this past December. Quizartinib, seen as a potential competitor to Novartis' Gleevec (imatinib), was discovered by Ambit using its KINOMEscan high-throughput small-molecule kinase screening engine, since off-loaded to DiscoveRx Corp. in a 2010 transaction so that Ambit could focus on drug development. Astellas paid $40 million upfront in 2009 for worldwide rights to quizartinib and other FLT3 inhibitors for cancer and non-cancer indications, although Ambit retained a right to co-promote all deal-related compounds. The Japanese pharma also was on the line for up to $350 million in pre-commercialization milestones as well as sales milestones and tiered double-digit royalties. The partners were sharing quizartinib development costs in the U.S. and Europe while Astellas was to shoulder rest-of-world costs. Concurrent with the deal, Ambit has been trying to go public. It first announced plans to file an initial public offering in November 2010, but withdrew in June 2011 citing the ubiquitous unfavorable market conditions. However, in February, it announced new plans for an IPO. Ambit had only $14.5 million in cash on hand at the end of 2012, nowhere near enough to advance an AML candidate by itself, but recently raised $25 million in the first tranche of a planned $50 million Series B financing. In the meantime, it is working on a companion diagnostic to identify suitable patients for the drug with Novartis unit Genoptix. FLT3 inhibitors are not a crowded class at present. Novartis has midostaurin (PKC412) in a Phase III trial (RATIFY) in newly diagnosed AML patients with FLT3 mutations, as well as in Phase II in aggressive systemic mastocytosis. Bayer’s multi-kinase inhibitor Nexavar (sorafenib) for renal and liver cancer and Pfizer’s Sutent (sunitinib) for renal and pancreatic cancer are multiple kinase inhibitors that affect FLT3. 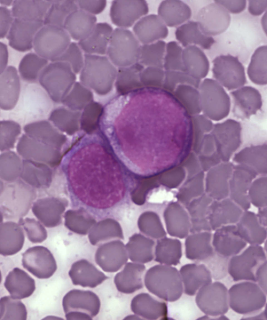 Teva has lestaurtinib (CEP-701), also a multi-kinase inhibitor that has been investigated in relapsed AML, under its 2011 buyout of Cephalon. However, the compound was not referenced in a December 2012 pipeline review for investors by the Israeli pharma. Meanwhile, China’s SBIO licensed worldwide rights to multi-kinase inhibitor SB1317 to Tragara Pharmaceuticals in 2009 in a deal that could bring SBIO a combined $112.5 million in upfront cash and milestones. Now known as TG02, the compound is being developed in multiple myeloma, chronic lymphocytic leukemia and acute leukemia by San Diego-based Tragara. In a release to announce the split, Astellas President and CEO Yoshihiko Hatanaka said the decision was made for strategic reasons. “We remain committed to the field of oncology as a major area of focus for the company,” he added. Indeed, in an interview with “The Pink Sheet” a little over one year ago, the exec talked up Astellas’ prospects in cancer, thanks in part to intellectual property obtained in its 2010 buyout of OSI Pharmaceuticals. That transaction brought Astellas the non-small cell lung cancer drug Tarceva (erlotinib), for which Astellas continues to seek label expansions, including first-line lung cancer. In addition, with Medivation, Astellas obtained FDA approval last September for Xtandi (enzalutamide) in prostate cancer, a setting where it is expected to compete with Johnson & Johnson’s Zytiga (abiraterone). Another big oncology opportunity for Astellas is renal cell carcinoma candidate tivozanib, partnered with Aveo Pharmaceuticals. FDA’s Oncology Drugs Advisory Committee is scheduled to review the compound, which showed an unfavorable survival trend in a pivotal study, on May 2. An oral tyrosine kinase inhibitor, tivozanib previously out-performed Nexavar in a head-to-head study measuring progression-free survival in RCC patients. Welcome to The IN VIVO Blog, home of daily commentary on recent developments in biopharmaceutical business development, R&D, financing, marketing, and policy. Join us for discussion in the comments, or contact us via email. © Copyright 2014 Informa plc. Informa Business Information. All Rights Reserved.